St. Paul's United Methodist Church Foundation, the Iowa Annual Conference United Methodist Church Foundation, and the United Methodist Church General Board of Higher Education and Ministry offer a variety of scholarships and loans to students attending United Methodist and other accredited colleges and universities. Some scholarships and loans are reserved for seminary students. These scholarships, awarded from funds given in love and faith, are truly the intersection of faith and learning, with hope for the future. Get more information and application forms below. The St. Paul’s Seminary Scholarship is designated for seminary study by an individual currently enrolled as a seminary student in a seminary graduate degree program preparing for a full-time career in ministry, missions or Christian education. This scholarship was originally established in 1993 by Rev. 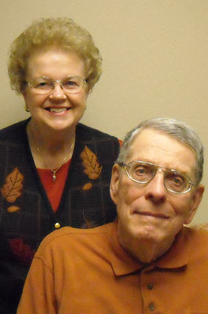 Wayne Wasta and his wife Phyllis in memory of his parents, long-time members of St. Paul’s Church. In subsequent years additional amounts have been added to the original gift which has provided an endowment sufficient to sustain this scholarship of this amount. The scholarship fund remains open for acceptance of additional gifts. Preference for awarding the scholarship will be in the following order: the applicant must be; 1) a member of St. Paul’s United Methodist Church, Cedar Rapids, Iowa, or; 2) a member of another United Methodist church in the East Central (or successor) District of the Iowa Annual Conference of the United Methodist Church, or; 3) a member of any other church in the Iowa Annual Conference of the United Methodist Church. The seminary being attended must be accredited by the Association of Theological Schools and be recognized by the University Senate of the United Methodist Church as an affiliated or approved graduate theological seminary. Application must be made using the seminary application form. The scholarship will be awarded by the Foundation Scholarship Grant Committee, made up entirely of St. Paul's United Methodist Church members. The application and all supportive documentation must be postmarked or received no later than April 15 each year. All applicants, recipients and those not receiving a scholarship award, will be notified no later than the last Friday in May each year. Payment of all scholarship awards will be made to the educational institution the recipient will be attending. The St. Paul’s Scholarship originated from a gift to provide scholarship funds to local orphaned children from the estate of Cornelius Arnold, received in the mid-1940’s. In subsequent years additional amounts have been added to the original gift which has provided an endowment sufficient to sustain these scholarships in this amount. The scholarship fund remains open for acceptance of additional gifts. The applicant must be a member of St. Paul’s United Methodist Church, Cedar Rapids, Iowa. The preferred applicant would be pursuing a post-secondary education in an accredited college, university, community college, vocational or technical school, not including continuing education. However, programs not meeting the described criteria may be considered on a case-by-case basis. One scholarship will be reserved annually for an applicant pursuing a career in Christian Education or Religious Music, if received. Application must be made using the St. Paul's application form. The scholarship will be awarded by the Foundation Scholarship Grant Committee, made up entirely of St. Paul’s United Methodist Church members. Payment of all scholarship awards will be made to the educational institution the recipient will be attending or to the recipient for other approved expenditures, as determined on a case-by-case basis. 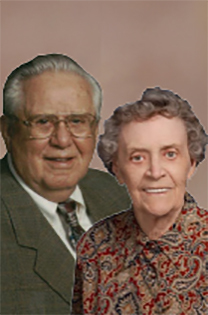 The Fran and Stan Richardson Scholarship is to be awarded annually in the amount of $1,000 and originated with a gift from Fran Richardson. It will remain open to further gifts from family or other St. Paul’s members, with the possibility of becoming an endowed scholarship. The applicant must be pursuing a post-secondary education in an accredited college, university, community college, vocational or technical school, not including continuing education. The “Robert James (R. J.) 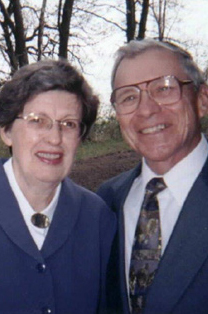 & Grace M. Noonan Scholarship” is to be awarded to a graduate of Cedar Rapids Washington or Jefferson High Schools and was established by Grace Noonan from gifts in memory of Robert Noonan. The applicant must be a member of St. Paul’s United Methodist Church, Cedar Rapids, Iowa and a graduate of Cedar Rapids Washington or Jefferson High Schools. Preference will be given for a student interested in a career in teaching at the K-12 level. All applicants, recipients and those not receiving a scholarship award, will be notified not later than the last Friday in May each year. 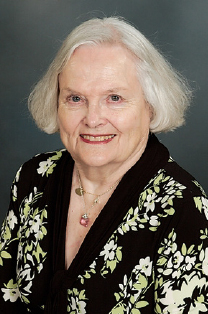 The Dr. Mary E. Wilson Scholarship is to be awarded annually to a person pursuing a degree in education. It was established by Alan Wilson, Fred Wilson, and his wife Karen in memory of their mother and mother-in-law, a long-time professor at Kirkwood Community College and an active member of St. Paul's UMC. The applicant must be pursuing a degree in Education. Payments of all scholarship awards will be made to the educational institution the recipient will be attending. The Leola Clark Scholarship is a need-based, general scholarship available to any high school senior graduating from one of the Cedar Rapids metro public high schools: Cedar Rapids Jefferson, Cedar Rapids Kennedy, Cedar Rapids Metro, Cedar Rapids Washington, Marion, Linn-Mar, and Prairie. One scholarship is awarded annually at each high school. This scholarship originated from a gift from Leola Clark, a long-time member of St. Paul’s UMC, in recognition of her interest in the importance of post-secondary education. The amount awarded each year may change, based on earnings from the original gift. The scholarships are awarded by counselors at each high school. High school seniors may want to talk to their counselors and inform them they are members of St. Paul’s United Methodist Church. All recipients will be notified of their responsibilities for claiming the scholarship award no later than the last Friday in May each year. Many scholarships are awarded annually by the Iowa Annual Conference of the United Methodist Church's Foundation. One of the scholarships offered is the Iowa United Methodist Church Scholarship that is sponsored by members of the Iowa Conference of the United Methodist Church. Applicants must be members of an Iowa United Methodist Church and a first-time, full-time degree-seeking student at one of the four United Methodist-related colleges in Iowa. Details and application forms for all scholarships offered are available at the IUMC Foundation website. Applications for these scholarships are due by March 1. The larger United Methodist Church in the United States also offers some scholarships, as well as a loan program. Information, and application forms for scholarships and loans are available at the General Board of Higher Education & Ministry website. Application due dates for these scholarships vary. A completed FAFSA (Free Application for Federal Student Aid) form is generally required by most institutions of higher education from students seeking financial aid. Although daunting at first glance, the website is helpful in walking parents and students through the process. School counselors may also be a good resource for help with the FAFSA. For questions about scholarships, contact Jerry Oakland, Executive Director of St. Paul’s UMC Foundation, by emailing joakland@stpaulsumc.org or by calling 319-363-2058.